Catherine Bowen Obituary - Elkton, Maryland - R.T. Foard Funeral Home, P.A. On April 7, 2019, Catherine Mary Bowen, while holding her daughter's hand, slipped away to join her Lord and Savior, Jesus Christ. She also joined her parents; husband John W. Bowen, Sr.; son John W. Bowen, Jr.; daughter Patricia A. Bowen; her sister Anne Saxton and son-in-law Dan Wagner all of whom predeceased her. Cathy is survived by her loving daughter Linda Wagner and devoted grandson Dennis. Cathy was a generous, caring, and compassionate woman who was well loved. She was a warm individual who encouraged and relished laughter. She often joined old and new friends for lunch and had been a Red Hatter as well as an active member of the Elkton High School Alumni Association. Memorial services will be held at a later date. 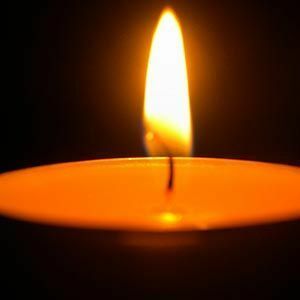 In lieu of flowers, memorial contributions may be made payable to Cathy's favorite charity, "St. Jude Children's Hospital" and sent in care of R.T. Foard Funeral Home, P.A., 259 East Main Street, Elkton, MD 21921. Add your thoughts, prayers or a condolence to Catherine's guestbook. In lieu of flowers, memorial contributions may be made payable to Cathy's favorite charity, "St. Jude Children's Hospital" and sent in care of R.T. Foard Funeral Home, P.A., 259 East Main Street, Elkton, MD 21921. Please enhance this tribute to Cathy by adding your memories and photos.